On January 1st and 2nd, 2015, The 20/20 Experience World Tour came to an end. Justin and The Tennessee Kids brought two show-stopping concerts to the MGM Grand Garden Arena in Las Vegas. The last two shows were filmed by director Johnathan Demme. So you know what that means... soon to come - The 20/20 Experience World Tour DVD! A huge thank you to The Tennessee Kids who made these last two shows so special! Especially those TN Kids who flew from across the world to dance and sing their hearts out at that last show. It was truly a night to remember! Check out the photos taken by The TN Kid social reporters from the last two shows below.These are some of our favorites, but keep on sharing your memories on Facebook, Twitter, and Instagram! The tour may be over, but the memories live on! Oh and there's still that DVD... Stay tuned for more on that. COUNTDOWN OVER! 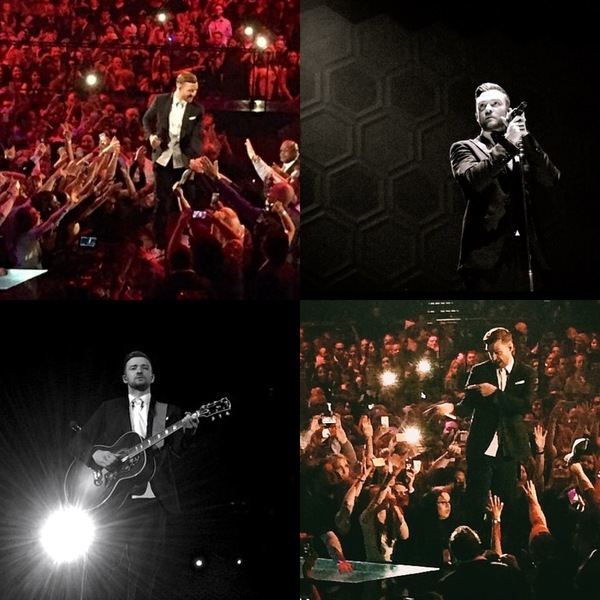 Here comes the January 1st #JT2020Tour show. The Tennessee Kid fans at the last two shows knew how to do it right! Getting their #JT2020Tour party on for the big event. Loving these suit and tie nails! The TN Kids taking group pics before the last show! Jonny Bones, the youngest champ in UFC history, even came to hang out backstage the night of the first show! Check out this Tennessee Kids' signs from the tour! So creative! Timbaland was even there for the final show! Some dedicated TN Kids met up for the last shows! Love this #TNKidNation! Thank you again for sharing your pics with us, TN Kids! Keep on sharing the memories! All my girls are in that pic!!!! I love this!! I was flying home at this time.... I wish I could have been there for this, but I love you all! !